In the wake of Charlottesville and other street battles between pro-whites and the antifa, it is a good idea to take a look at the legal aspects of self-defense. For unlike movies and TV shows where the villain is killed by the hero and the show ends with the hero honored by all, violent self-defense has serious legal ramifications that could last for years. Fatal shootings have even more legal ramifications. It is thus important to understand the ins and outs of legal self-defense. The expert on the matter is Massad Ayoob, an assimilated Yankee New Englander of Arab stock who is a “cop’s cop.” What’s remarkable about Ayoob’s career isn’t his long time wearing the badge and walking the beat, but his service as an expert witness regarding firearms and self-defense. 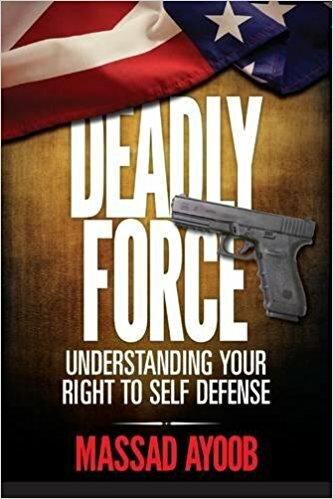 Ayoob crystalizes his experiences and considerable body of research on self-defense in his book Deadly Force: Understanding Your Right to Self Defense. Ayoob approaches the issue from a Civic Nationalist, pro-gun point of view. He mentions racial issues, but doesn’t explore them further. From a white advocacy point of view, the problem of “gun violence” in the United States isn’t “guns,” it is non-whites — especially blacks — with guns. Ignoring the broad interpretations of the Second Amendment, why isn’t there a movement to keep guns out of the hands of crime-prone blacks and other non-whites, while leaving gun rights for whites intact? When is it OK to Shoot? Furthermore, weapons of deadly force are all legally equal even if you have an AR-15 and they only have a knife. It is always reasonable to shoot someone armed with a knife or bludgeon who you reasonably believe is trying to kill you. It is also reasonable to shoot someone trying to run you over with a car, but otherwise “unarmed.” Indeed, as the public has come to know due to blessings of Islamic immigration, a car is a most deadly weapon. Additionally, overwhelming disparities in size and fitness between two parties in a dispute, such as a 200-pound muscled young man vs. a “little old lady,” can justify a deadly self-defense shooting on the part of the smaller person. Even armed with a knife, club, car, or the “fists of steel” of an athlete, an attacker doesn’t need to be in arm’s reach of the person shooting in self-defense. In 1983, Salt Lake City Police Sgt. Dennis Tueller discovered and then published the fact that an attacker armed with a contact weapon such as a knife could cross a distance of 21 feet in less than a second and a half. In his own experiments, Ayoob found that fat people, old people, children, and even people in wheelchairs could cross 21 feet in less than 2 seconds. In other words, legally, even a distance of 21 feet is close enough to be a just self-defense shooting. With all things legal though there are exceptions and mitigating circumstances. A shooting isn’t always justified within 21 feet and not necessarily unjustified outside that distance. Again, one must have a reasonable fear for one’s life and the shooting must be unavoidable, and the deadly situation not created by the defender himself. Don’t compromise truth. After the dust settles, don’t disturb the scene, plant a knife, or give a false statement. There will likely be witnesses even if you don’t see someone during the shooting. Additionally, forensic science has advanced enough that the truth will come out that the knife was “planted.” If you’ve lied, you’re done. Don’t flee the scene – in most legal circumstances, flight equals guilt. Don’t shoot “anyone” entering your house. One can’t shoot the FedEx guy, cleaning lady, or milkman out of blind fear. Shooting the repairman you didn’t expect to show up because your spouse coordinated the repair and forgot to tell you won’t fly as a justified shooting with any judge or jury. Don’t provoke a situation then “fear for your life” and shoot. This could be a big show stopper for white advocates. Going to a rally could be seen as “provoking a situation” by a hostile jury mad that one of their fellow townspeople was killed by “neo-Nazis.” It might also work the other way, white advocates have a right to speech and protection by the state. The antifa could be “provoking a situation.” Either way, it’s always going to be an open question. A white advocate caught up in this situation now must focus on private legal matters, not The Cause. Don’t fake a heart attack or health problems after a shooting. You’ll get found out, you’ve compromised the truth, and wasted the time of medical staff. Fake health issues and your goose is cooked. Don’t shoot to “make sure he’s dead.” When you’re out of danger, you must stop shooting. Also, don’t shoot at someone fleeing. At the same time, you’re not finished in a later trial if you emptied the magazine into the perpetrator and there are bullet holes in his back, because bodies spin as they fall, the fight is fast and confusing, the gun shoots fast, etc. Again, when you’re out of danger you must stop shooting. Do expect to get sued, even for a justified shooting. Anyone can sue anyone else for anything. If you are involved in a shooting at your house you might have some help from your insurance company. Point out the evidence. The scene gets chaotic with cops, bystanders, ambulances, etc. They may move or alter the evidence. If your shooting is just, all undisturbed evidence will help you. Point out the witnesses. Nobody wants to be caught up in a trial, miss work, become a target for criminals, or get publically abused like the famous witness Kato Kaelin. If they leave the scene unidentified you’ve lost testimony to your innocence. In a just shooting, all evidence will help you. Even lying witnesses who were friends of the guy you shot will get tripped up in court and that will help you also. Once the above is done, politely decline further questioning until you have a lawyer. I: If you Choose to Carry, Always Carry as Much As Possible (i.e. big enough caliber, and spare ammo). V: Know what you are doing. VII: Maximize your Firearms Familiarity. Don’t get a self-defense gun with a macho brand name like Cobra or high-testosterone symbols like a “Punisher” skull. Don’t get a gun with a “hair-trigger” pull. Furthermore, use factory-made ammo, not home-loaded ammo. 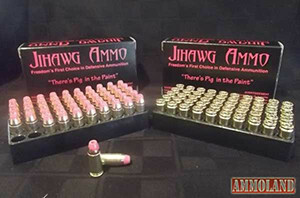 Don’t use bullets such as “Zombie Killer” ammo or the anti-Muslim “pig-greased” ammo. In these matters you must be seen as a solid citizen who isn’t immature or reckless. 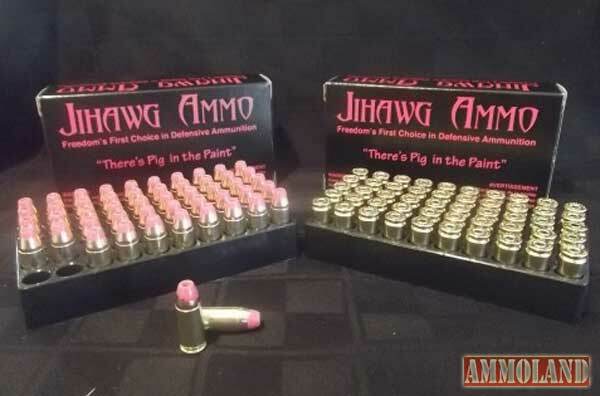 Anti-Muslim “pig greased” ammo, “Punisher” skulls on the pistol grip, and other macho stuff will imply something about your personality you might not want brought up in court. So many white advocates have been tripped up with firearms that Johnny Cash’s song about not taking your guns to town is probably the best advice. However, this advice must be tempered with the knowledge that the antifa is a dangerous force. In this circumstance, the right answer is that the legitimate authorities are obligated to protect the speech of white advocates and white advocates must demand that protection even in light of the Charlottesville fiasco. White advocates must focus on ensuring their message gets out in as many ways as possible. It is probably time to focus on owning webhosting services, fundraising applications, etc. It is also a good idea to focus resources on the issue of legal ownership of a domain name on the internet. White advocates have a large, growing audience. They don’t need to brawl, they need to communicate. Ayoob followed the Trayvon Martin case in his blog. He points out many of the legal ins and outs of the trial. http://www.backwoodshome.com/perspectives-on-the-george-zimmermantrayvon-martin-shooting/  One thing we haven’t yet seen is a “neo-Nazi” going free after shooting a colored attacker. So far, most white advocates caught up in a shooting get convicted. (See the write-ups about Ben Klassen and Richard Butler on the SPLC’s website for more details.) Your shooting might be legal, but white advocacy is always going to be a burden in a trial. Massad Ayoob, Deadly Force: Understanding Your Right to Self Defense (Iola, WI: Gun Digest Books, 2014), p. 20. Massad Ayoob mentions, and disagrees (to a degree) with the video that went viral about not saying anything to police if questioned for a crime. https://www.youtube.com/watch?v=d-7o9xYp7eE  In a justified shooting, you must get your side of the story out immediately. The authorities must move against Antifa. Should “the state” fail to keep order between two political factions, we have a situation such as Bleeding Kansas in the 1850s and society moves along the road to civil war. Furthermore, while the Antifa might get temporary, conditional Middle American support by attacking “neo-Nazis” carrying torches, they also attack mainstream businesses, city property, Republicans, churchgoers, moderate Democrats, and police in liberal cities like Portland and Seattle. Everyone is thus a potential “neo-Nazi.” Antifa’s continued shenanigans will not continue to be tolerated. That is to say won’t be tolerated, unless the political elite is so hostile and spitefully Semitic that they choose to go all in with Antifa and let it all come crashing down. Yep, Biden claims that Trump has emboldened white supremacists — but he was noticeably silent when Obama invited Black Lives Matter to the White House and whipped up racial tensions in Ferguson and Baltimore, not to mention sticking his nose in the Trayvon Martin case before the evidence had even been gathered. Face it, Joe, racial animosity got worse during the 8 years you spent as Vice President. Don’t try to act like you give a crap now — maybe you and your boss should have tried to extinguish the fire with something other than gasoline.